#8020 at North Freedom, April 2000. Another outside-braced single-sheathed boxcar rolled out of General American Car Company’s Chicago plant in 1925 as Green Bay & Western #8020. This popular 20th-century design was economical to build and very durable in service. The underframe was steel, providing a much stronger structure than previous wood designs. The single-sheathed design was used profusely for many years, even as late as the 1940’s, when a WWII “war emergency” version was built en masse. 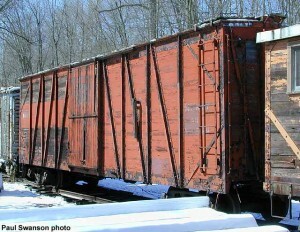 By the 1960’s, GBW had assembled a fleet of steel cars that required less maintenance than their wooden predecessors. 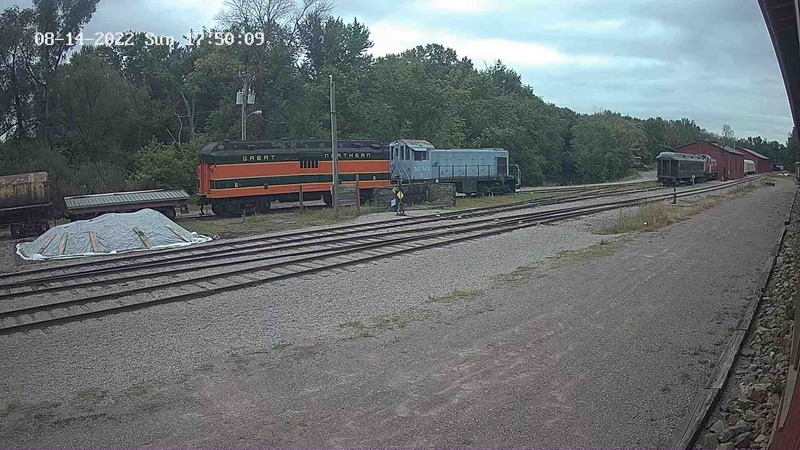 In 1964, #8020 was sold to the tourist railroad Marquette & Huron Mountain and moved to Marquette, Michigan where it retained its number and remained for the next twenty years. In 1985, the car was purchased by Mid-Continent members when M&HM’s assets were auctioned. #8020 was moved to North Freedom with other M&HM equipment and today is used for storage of locomotive parts. The Green Bay & Lake Pepin Railway incorporated in 1866; five years later it built a line from Green Bay across the center of Wisconsin to East Winona, Wisconsin on the Mississippi River. It opened in 1873. Another road called the Kewaunee, Green Bay & Western was formed in 1890 and built east from Green Bay to Kewaunee on Lake Michigan in 1891. Both roads were combined in an 1897 merger to become the Green Bay and Western. The road thrived for nearly 100 years in the Badger State, serving as a bridge route between Lake Michigan (where freight cars were transferred to and from ferries) to Winona on the Mississippi. In the diesel era, GBW was famous for its all-Alco-built fleet of locomotives and localized management. Itel Corporation purchased the Green Bay and Western in December 1977. 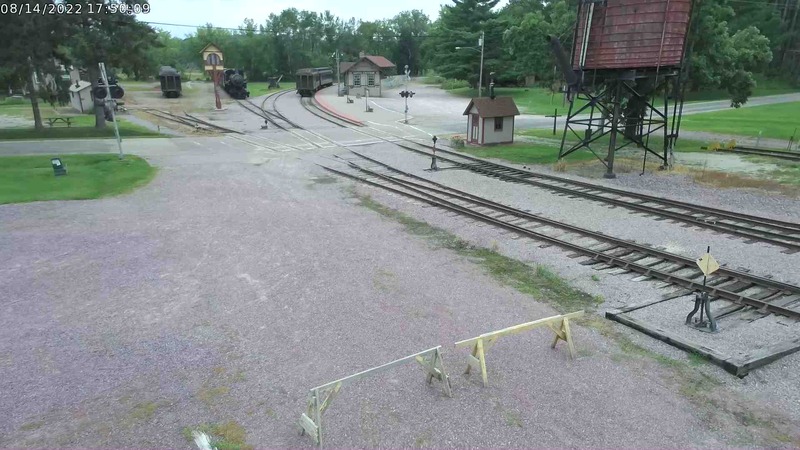 In 1991, its management was consolidated with Itel-owned and neighboring Fox River Valley Railroad. On August 27, 1993, GB&W ceased to exist when it was sold to a subsidiary of Wisconsin Central and merged into their system.